Baxter’s Hollow – There’s Gold in Them Thar Hills! Wisconsin has a great many Natural Areas, little pockets of nature left largely not maintained. 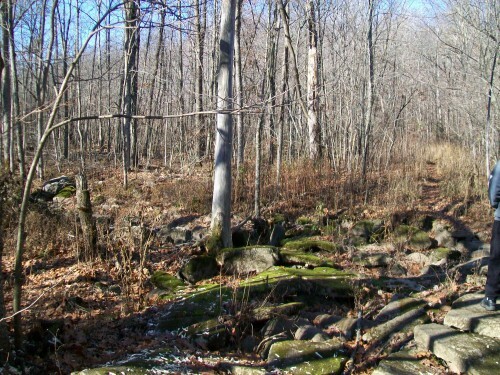 They protect the natural flora and fauna of the area, but are accessible to people to visit. 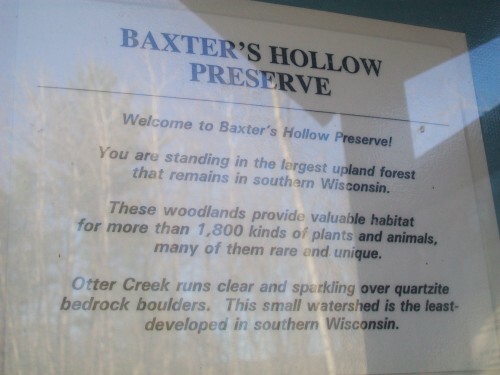 Baxter’s Hollow is near the Baraboo Hills and near North Freedom. 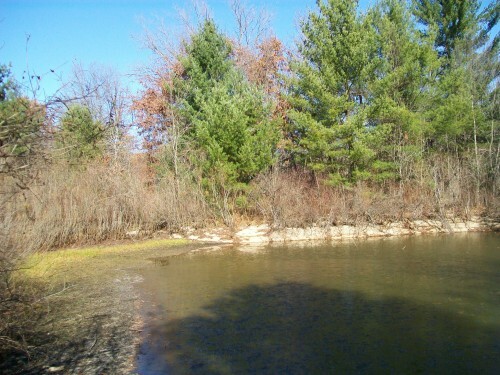 It is owned by the Nature Conservancy, and the largest preserve they protect in Wisconsin. It was designated in 1970. It was after fall peak colors the day we went there, and the only thing to be heard were birds, squirrels and chipmunks. 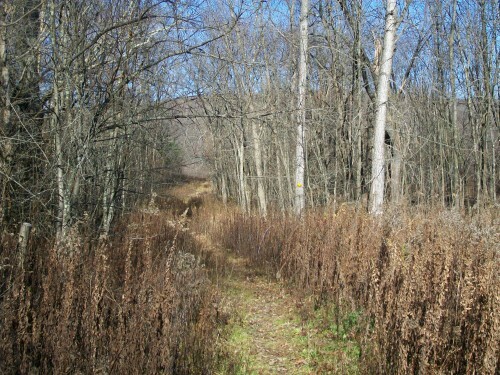 There is one faint dirt trail through the woods, be sure to wear hiking boots and jeans for protection, sometimes there are burrs and other sharp plants near the trail. Let’s begin our walk on the trail, still pretty even without leaves on the trees. 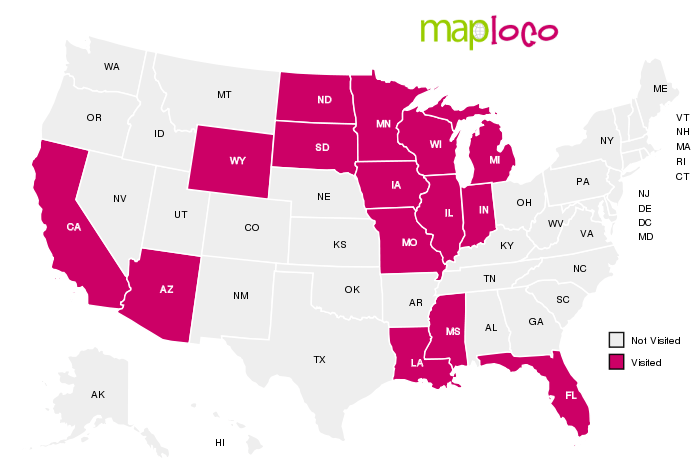 You can download a map too. We came to the Otter Creek crossing, but it was dry. We had a drought last summer and it was still dry. 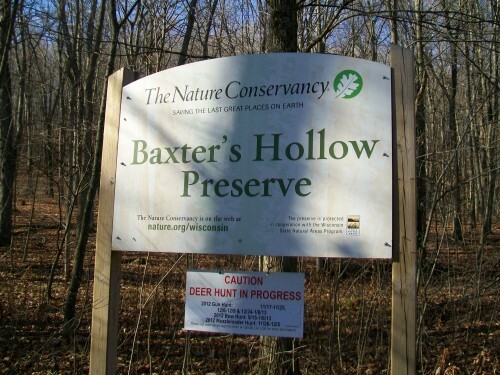 Baxter’s Hollow was once the site of a village called Otterville. It was a gold mining station. It also had a campground and maple syrup camp. We found remnants of this camp on our hike. Also a small pond called Bakken’s pond. We had a good time here, we hope to be back in the spring. Thanks Steve! Have a great day today! We have not been back since then, it may be time for a return visit! We didn’t have smart phone then that could mark location but maybe we will go back this fall. 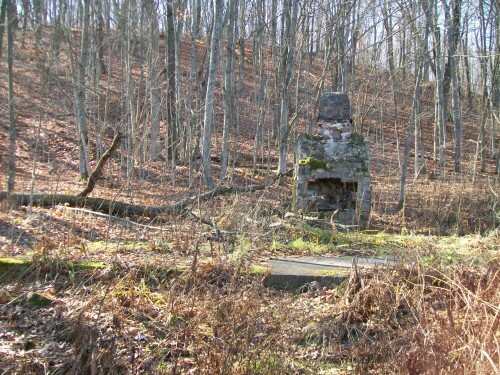 I kind of remember the fireplace being on on my left as we started out on the trail. I remember the pond being a bit hidden as well. Thanks for your comment!